Since it’s always easier to save and stock up when you have a variety of savings to choose from, you’ll want to put some effort into building up your coupon stash! WHICH NEWSPAPER SHOULD I BUY? Newspapers in large cities (like the Detroit News/Free Press, Chicago Tribune, etc) generally offer more coupons with better values than smaller papers. In the Macomb area, the Detroit News/Free Press is usually your best bet. To be sure this is the case in your area, it’s a good idea to buy a copy of each local paper and compare the inserts. HOW MANY PAPERS DO I NEED? A good rule of thumb is to purchase 1 copy for each person in your household. I purchase additional copies if the coupons are especially good that week (i.e. savings on items I know we’ll use) and fewer copies if there aren’t many inserts. If you’re just starting out, 1 or 2 newspaper copies will still help your budget. Many deal matchups may require you to use 2 or 4 coupons in one transaction in order to save – and you’ll want a few to be able to stock up on items when prices are at their lowest. WHAT CAN I DO WITH ALL THAT PAPER? Before you think about moving newspapers out of your house, you’ll want to be sure you’ve grabbed every coupon in the paper. Some coupons will hide in the Parade or USA Weekend inserts and others have been found in the pages of the newspaper itself. Then you can find a creative way to recycle it! You can wash your windows, line your bird cage, wrap a gift or donate copies to a classroom if you’d rather not take it to the recycling center! ISN’T IT EXPENSIVE TO PURCHASE EXTRA PAPERS? Since the cost of a newspaper copy has risen recently (in our area to $1.50), you will want to make sure you’re serious about using your coupons if you’re thinking about purchasing extras. You can quickly earn back the money you spent on a paper in one well-planned shopping trip. Many dollar stores (including Dollar Tree and Dollar Castle) offer the Sunday paper for $1.00 – and often you can still find remaining copies available on Monday and Tuesday. Ask your friends, coworkers and neighbors for extra coupon inserts. Those who don’t use coupons have no use for them! If you’re able to pick up items for cheap or free with those coupons, you might consider bringing them a little treat every once in a while to show your appreciation or letting them know what you were able to donate with their help. If you’re a regular drugstore shopper, buying papers is an easy way to use up your CVS Extra Care Bucks, Rite Aid UP+ Rewards or Walgreens Register Rewards before they expire. DO I REALLY NEED TO CUT and SORT ALL THOSE COUPONS? And if you’re short on time (like I am), I don’t recommend it. I like the whole insert method Coupon Mom endorses. Keep your coupon inserts uncut and group your together each week (use a paperclip, binder clip, staple, rubberband, file folder, etc.) then write the date on the front. (If you receive inserts from a friend, you’ll find the date in microscopic print on the edge of the insert). Use the free Grocery Coupon Database she provides to search for existing coupons and clip only those you’ll use as you prepare your shopping list each week. (You’ll be asked to register, but there’s no cost). At the end of each month, you can purge expired coupons and inserts. If you like having your coupons with you in the store, you’ll want to clip a couple copies’ worth. Organize them in a way that works for you (coupon box, file, binder, etc.) and you’re ready to shop! Do you buy extra papers each week? Do you have any questions about collecting coupons from newspapers? Share your best tips! I do not buy extra coupons every week as I am a two person family and usually my husband is very particular about his stuff. I get one paper delivered to my home and that is it. I find it much easier, because I shop on Friday's to then Monday morning search for coupons I need on ecoupons. If there is a big insert though I will get an extra paper or two. This weekend I will get two extra papers. I have to clip my coupons I have a slightly photographic memory and it works better for me that way. So getting one insert and then going to ecoupons helps not have tons of extras I won't need by getting extra papers. How long do I need to keep the coupon sections? I have some that are from May…when can I recycle those? One of my favorite ways to recycle some of my newspapers is to use them in my garden to help keep weeds at bay. Lay a few layers underneath the soil and have less weeds… yes please! Thanks so much for this info. I just checked out the coupon mom data base. It's great. I'm so far behind on coupon clipping I was ready to throw in the towel. This will be a big time saver. Keep the coupons only until they expire. 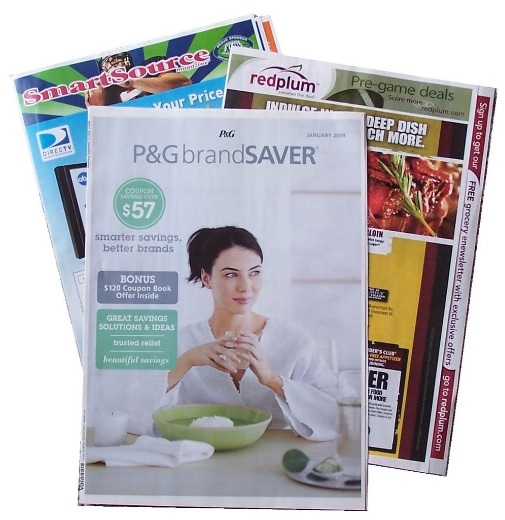 You can page through your May inserts and see if any coupons are still valid. If it's just a few, remove the good ones and recycle the rest. Often I'll visit Coupon Mom's database, sort by date, and see if there are any valid coupons that remain in the old inserts. If not, I'll recycle the whole stack with that date. I have a huge binder of coupons, but I've been thinking of switching over to just filing the inserts. My problem is that I clip the coupons and don't file them and they stack up for weeks. Then when I need some, I have to flip through a ton of clipped coupons. Because I’m such an anti-clipper unless I really need a coupon, I’ve been mailing the inserts I’m ready to discard or recycle to Operation Coupon Karma. They’ll clip and sort, then mail to military bases overseas, where they can use expireds. Have you sent anything to Operation Coupon Karma lately? I checked them out on FB and someone posted recently that their envelopes are being returned to them “REFUSED”… I hope they’re still active, because I’d love to donate to such a great cause! What I do with printable coupons is clip them and then stick them in the front of my coupon Binder so I know what I have. I’m more of a print as you go person unless it is a HOT coupon that I know will make an item free or cheap. This method has seemed to save me alot of paper but I sometimes do miss out on great deals. I love the file system. I just write the date on the front of the insert and file them by date. I have about four months worth. I just rotate the oldest (throw away) when I put in the new ones. I used to purchase 4 papers but the deal expired and have been trying just one paper since January – it works! Many of the coupons I use are printables. Occasionally, I’ll wish I had one or two more coupons but I have to remember that I did used to PAY for those extra inserts. So, I think I’m still ahead this way. Also, from time to time, I do purchase extras if there are several high value coupons I know I’ll use (like the Sunday in January that has several inserts). Hope this helps! I purchase 3 papers a week, on a week like this up coming Sunday I will purchase 5 or 6. I coupon for my family of 6, my brother (lives with me), my BIL (who hit rock bottom recently and I keep food in his cupboards since I will not give him money it turns into booze), and I also do some for my parents. I also get my mothers inserts every week. I’ve found that I also make up what I spend on coupons very quickly. I have inserts from November of 2009 becuase there are still some medicines coupons that you never know when you’ll use them. I put all the inserts for the week in a folding and file it with the date stickered on the top. I used to seperate red plum, SS, and PG but now I just put them in the same folder unless I have several. To save $$$, I only buy one paper, but collect a lot of inserts by walking through my neighborhood on the morning of garbage/recycling day. I am able to collect at least 10-20 more inserts that neighbors have placed in their recycyle bins. My kids go with me- so its a great way to get excercise, spend time together and save money. They get excited when they are helping to find coupons! I’ve got the garbage pick up schedule for other neighborhoods in my area too. I use to the use the whole insert method and for me.. it turned into a mess.. I have now returned to the good ole coupon box organizer. My mom used this method growing up and this is what i remember and going through the tab for each section often every week lets me remember what I have. We buy two papers each week for a family of 4 but I am thinking of upping that to 3 now that I am reallly getting the hang of this coupon thing! I only take about an hour to cut and go through my ads (i just do three stores that I love and are near me). Maybe its just easy and quick for me because I like to escape and do this busy work. Kind of sad but I really look forward to my Sunday paper time! Are the coupon-cutting sites worth the $$$$…? We are a family or 13; 11 kids, hubby & myself. We get a free YES paper that will have 1 or 2 inserts in it plus the Detroit/Oakland papers so we will have up to 6 or 7 inserts, is that enough for our family size?  I have found that with our mega family with kids ranging in age from 2 to 21, even with coupons I am spending almost $300 a week. It’s been very fustrating. For many families of 4, $100/week is a decent grocery budget. You’re doing that times THREE, so it doesn’t seem too unreasonable. How low do you think it should be? If any of your family members have special dietary considerations, it’s likely to be more. If you got more coupons, would you use them? Many stores limit you to 2-3 identical coupons anyway, and that would mean a lot of shopping trips. What is aggravating though is when not all the coupon inserts are in the newspapers! One week the newspaper will have them and the next week it won’t. I have access to 2 different papers which has all 3 inserts at times but one newspaper only has half of the coupons they other has. The inserts are different and even printed differently. It seems like they would have the same inserts across the board and it seems like if a newspaper is suppose to have the inserts they would have them every time. I understand demographics play a big part in this and I do live in the country but it still seems like they would want everyone to have equal opportunity to the products. With the actual papers themselves, my son’s school has a recycle bin that gets them money per lb that is in the bin. So every chance I get, I collect as many papers as possible and go that route. It ensures that my son will have possibly something extra in his school because I have helped to contribute! A system though….I have had a hard time getting my coupon organization together with a binder. I had it down perfectly when I was using a plastic shoe storage box….but the binder is easier to take to the store and would make things easier. I have been trying to clip and organize for the longest! Any suggestions!? I have a family of 5 and we spend probably $350-400 a month on food. I try to stock up on things like paper towel, laundry detergent and stuff like that. But we go through probably 100-150.00 in fruit from the grocery stores and like another 50 or so from farmers markets. My kids go through fruits like it’s water! Like today I bought like 15.00 worth of marked down fruits and veggies from Meijer because they will be gone in like 2-3 days. My 4 year old will go through the day sometimes just with fruits and veggies and meat at one meal. And my one year old, she will eat chicken nuggets, french fries, cheerios and fruit all day! Oh and grits! lol.